To further its mission of restoring, developing and operating the Jacobus Vanderveer House property as a national historic site and an educational and community resource, The Friends of The Jacobus Vanderveer House & Museum have launched a Raising the Bar(N) Capital Campaign to raise an early 19th century barn, which will become the centerpiece of a planned farmstead surrounding Bedminster's historic Jacobus Vanderveer House. The farmstead will include a barnyard and kitchen garden, as well as outbuildings, such as a hay barrack, kitchen garden, privy and smokehouse. The barn is currently housed in a trailer on the Vanderveer property. Once it is reassembled and completed, the 33' x 51' barn will provide much-needed year-round space for meetings, community events, and educational programming; exhibitions; and a secure repository for thousands of archaeological artifacts that were excavated during the Pluckemin Archaeology Project (1981-89) – one of the most significant Revolutionary War archaeological investigations ever undertaken. These artifacts and the accompanying documentation are currently being housed in a warehouse facility in Central New Jersey. Once these artifacts can be permanently stored in a climate-controlled facility, they will be available for exhibition and interpretation to the thousands of history lovers who reside in Somerset County and the greater New York area. In addition, the adaptive reuse of this rare and important historic Dutch barn will enable the nationwide community of American History scholars to gain access to these artifacts to further the study of the Pluckemin Artillery Barracks of 1778-79 and its significance to our nation's history. 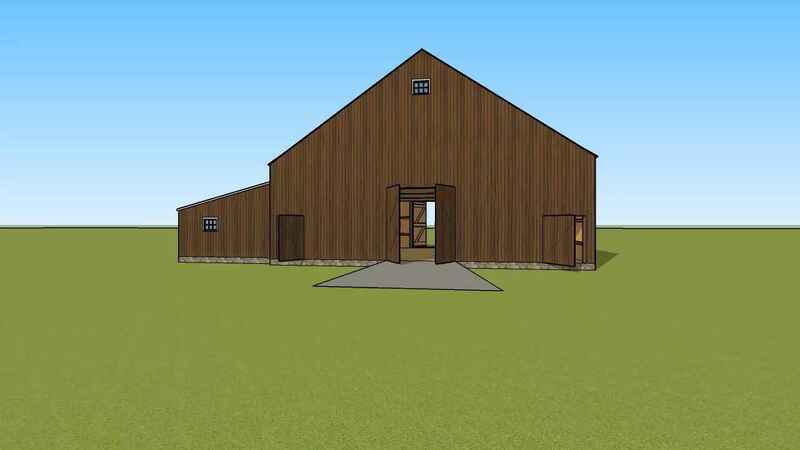 The Friends envision the barn to become a unique venue for public, private and corporate events that will help financially sustain the historic property's future maintenance and operational costs. In June 2016, a $94,190 Historic Preservation Grant from the Somerset County Board of Chosen Freeholders funded the acquisition and relocation of the early 19th century barn from a private property on Old York Road, Branchburg to the grounds of the Jacobus Vanderveer House. While the grant from Somerset County covered the cost of dismantling and relocating the barn, preparation of National and New Jersey Register nomination forms, initial construction documentation and schematic designs, additional funds must be raised to construct a new foundation, reassemble and repair the historic frame, and enclose the barn with new siding, roof, windows and doors. The remaining phases of the farmstead project are estimated to cost $1.7 million. To date, $200,000 has been raised toward that goal. We look forward to securing additional support for this important project in the coming year.